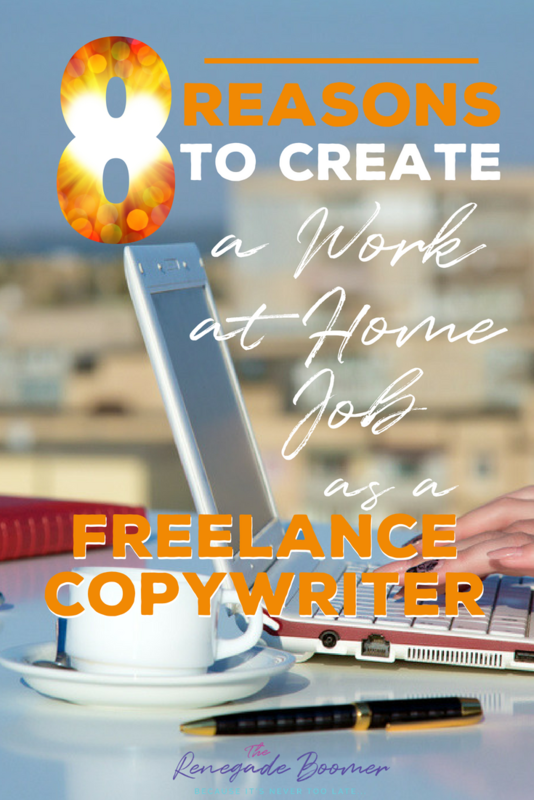 If you’re looking for a way to create a work-at-home job for yourself and make a great living, I definitely recommend you look into becoming a copywriter. Learning to be a copywriter and working from home online changed my life in ways I couldn’t even imagine when I first started. My husband, Ron, and I had to figure out how to make a living from the first moment we met. We met later in life, after we’d each had previous marriages, kids, and our share of life’s challenges too. He was the guy living with roommates because his previous life had left him on the edge of survival mode. I vividly recall he was wearing cheap plastic white tennis shoes from Walmart when I met him. As for me, I was emerging from the biggest crisis of my life, which involved my very own psychopath who tried to do me in. I’d had to flee with my children, losing every material possession we had. We literally were left penniless, homeless, and shell-shocked. But we prevailed! I met Ron and together we figured out how to create an entirely new way of life. Along the way, through our RV lifestyle, we stumbled into an entirely new possibility. We began doing some amazing promotional tours for big ad agencies. 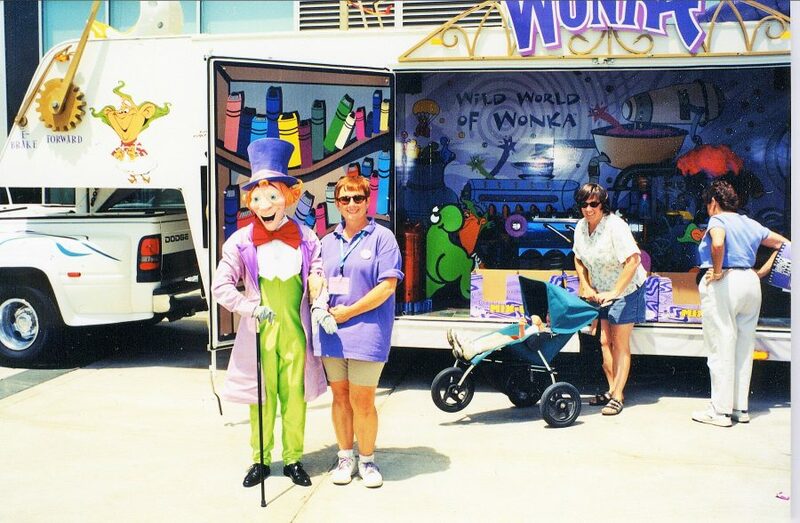 We went on the road for national promotions like Got Milk, Willie Wonka and the Chocolate Factory, and Novartis Pharmaceuticals. We traveled in our RV, and for some of the promotions, I drove the specialty rig too. 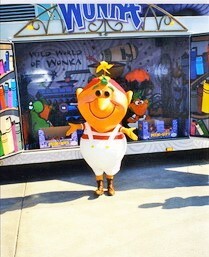 For example, I hauled the “Wonka Mobile” all around the country. Here I am standing with the setup and Willie Wonka “himself” before I went purple (hair)! This particular event was on Navy Pier in Chicago. And here’s the Oompa Loompa! She was on a college break, so we were able to hire her to help with the Chicago event. That darn Oompa Loompa costume was cumbersome too! Her arms were pinned to her sides, restricted by the big plastic head, and she could only see what was right in front of her, so I had to lead her around by the hand. It was quite a time for us, learning how to “sell” a concept…an experience, without money ever changing hands. It was our responsibility to engage the public so effectively, they would want to participate in our events, which were fun, colorful, and free. For Willie Wonka, we gave away the book Charlie and the Chocolate Factory where they could also win a golden ticket for more goodies, and we gave away all kinds of Wonka candy (sorry dentists and parents of America!). It was all about getting eyeballs and engagement from the crowds of people at our events as diverse as the Boston Marathon, Major League Baseball games, fairs, and festivals. We even did an event inside a Hollywood movie studio! It was a pretty big deal actually, as the marketing events were funded at multimillion-dollar levels. But it was also exhausting, as we crisscrossed the country every single week, with event scheduling we had no control over. Eventually we moved on and figured out the fine art of selling physical products face-to-face. We got very good at it, becoming top sellers in the nation for our product. 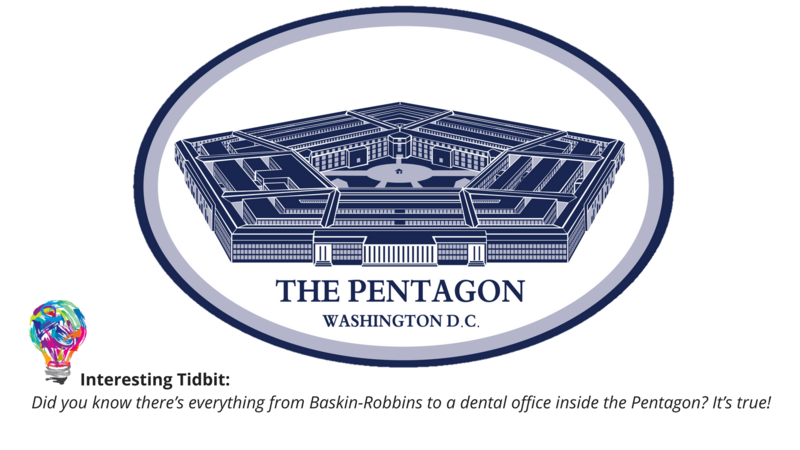 We were even invited inside the Pentagon three different times to set up shop and sell our product. That was truly a fascinating experience we’ll always remember. But again, the physical demands of this wore us down. And THAT is when I discovered copywriting! If you like to write and have an interest in marketing, it could be the perfect fit for you too. 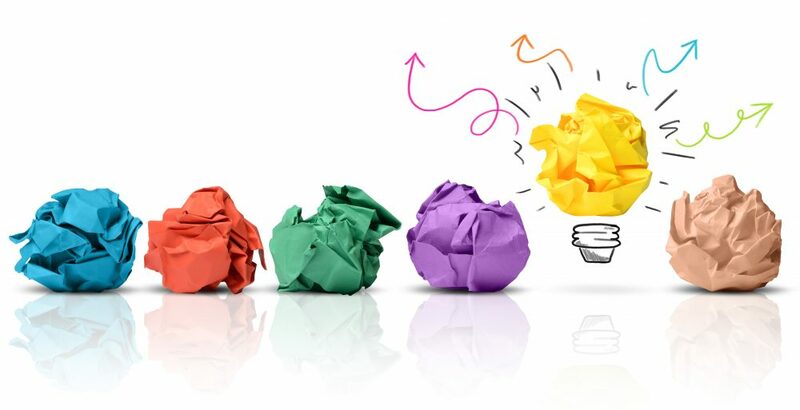 Copywriting is the process of writing the words that convince, persuade, educate, engage, and empower every aspect of selling a product, concept, or idea. 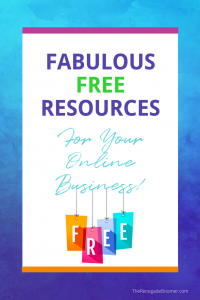 This could be anything from writing a landing page for a website, blog posts, opt-in copy, email sequences, video scripts, product descriptions, direct mail ads, catalogs, brochures…anything and everything that pertains to WORDS that SELL. In our case, I’m talking specifically about being a freelance copywriter, creating a thriving work-at-home business for yourself, even if your home has wheels. So the “copy” part is all those wonderful words. It’s everywhere you look and listen. And it’s not going away. In fact, it is a multi-trillion-dollar industry! How’s that for job security? And the writer part? Well, that could be YOU! 1. Creating your copywriting business is extremely affordable. You probably need to invest in a quality copywriting program to learn the basics. This can be a very reasonable investment, especially considering the amount of moneymaking potential you will have when you acquire the skills. I probably started off with an investment of less than $1,000 to get a handle on what copywriting is all about. That turned into multiple six figures within the first year. I’m launching a brand-new copywriting program very soon, so stay tuned for that! As a matter of fact, I’ll be launching it at an introductory price that will make it VERY doable for you. If you’d like to be on the early-bird notification list when it’s ready, you can sign up here so you don’t miss it! You will need a reliable Internet connection, a computer or laptop, a cell phone, and a space where you can work. I also use my printer quite a bit, so I would recommend you have one as well. 2. You can become a copywriter without a college degree or previous experience. I did not have either of those going for me, and it simply is not necessary. In fact, sometimes the folks with journalism or English degrees find it HARDER to get into the groove of copywriting, not easier. Copywriting is much more conversational and informal than many other types of writing. If you can write like a person talks and factor in marketing strategy at the core of the “conversation,” you have the first foundational skills to becoming a copywriter. 3. You can make an excellent income as a freelance copywriter. 4. There is an ongoing need for copywriters that continues to grow. You can’t be replaced by offshore outsourcing. 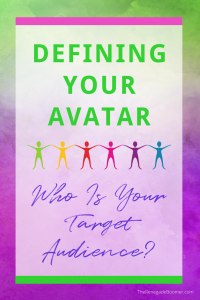 Just based on cultural norms, nuances, and common marketing practices, you are guaranteed you won’t be replaced in this way. While the rich resource of offshore workers is extremely valuable and helpful to many areas of entrepreneurship and business, copywriting is not one of them. And the need is tremendous! Flexjobs.com analyzed over 49,000 companies and their freelance job posting history between January 1 and February 28, 2018. Copywriting won’t be automated. Your human brain, spirit, and soul are necessary. Look, even cashiers at Walmart are being replaced by self-service kiosks. At Costco the other day, I saw they had installed a self-service area for ordering the famous Costco hotdog, pizza, and frozen yogurt. Everything from car repair to telephone answering is being replaced by automation. Call the doctor lately? How about your favorite pharmacy? Chances are your first line of communication is through an automated system. Copywriting requires the human dimension, the emotional component, and intuitive ability that takes it from mediocre to amazing. 6. Freelance Copywriting is extremely secure. Notice I said FREELANCE. This isn’t the same as working for an agency. While any business can be downsized, when you are a freelancer, you call the shots. As a copywriter, you are the essential gateway to sales for your clients. They need you! Especially when the economy goes through a rough patch. I’m kind of embarrassed to admit this, but during the economic downturn of 2008, I barely noticed what was happening. That’s because I was so incredibly busy as a copywriter! In fact, I had some of my highest earning months during that time. 7. 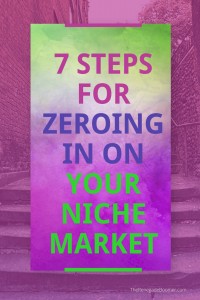 You can leverage your copywriting skills into other profitable niches for yourself. As a blogger, you can create blog posts that also highlight affiliate products you recommend. 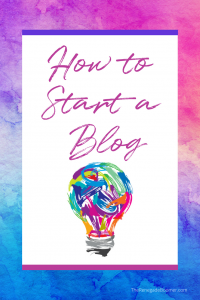 This is one of the fastest ways to begin monetizing your blog. 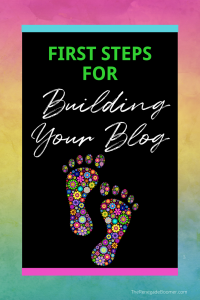 Instead of random ramblings, you can become much more purposeful and strategic about the many benefits of blogging. You can create an email list of subscribers you can continue to connect and market to through well-written emails. You can take something else you are good at and love and turn it into a product you can get paid for. Maybe you love to cook, sew, or build birdhouses. Start there and create a product around other passions and interests you have and sell it with your copywriting skills. You can use your copywriting abilities as a springboard to an entirely new career. 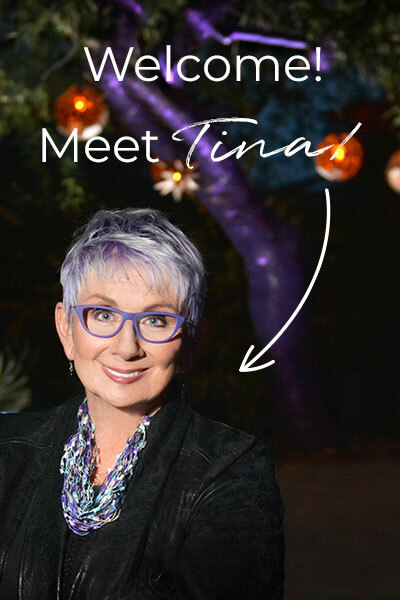 I’ve trained copywriters who now have thriving businesses as a consultant, clothing designer, highly paid ghost writer, and literary agent, just to name a few. Copywriting can be your “gateway” to successful e-commerce, selling physical products through sites like Amazon or Shopify. I personally know many EIGHT-figure entrepreneurs who have built their empires around e-commerce. When you understand copywriting and marketing strategies, the sky really is the limit! 8. As a freelance copywriter, you have incredible lifestyle freedom. As you can see by rummaging around on The Renegade Boomer, we are blessed with an amazing lifestyle. I literally work from anyplace we are, traveling in our RV, which is my mobile office, or from our homes in Arizona and Mexico. 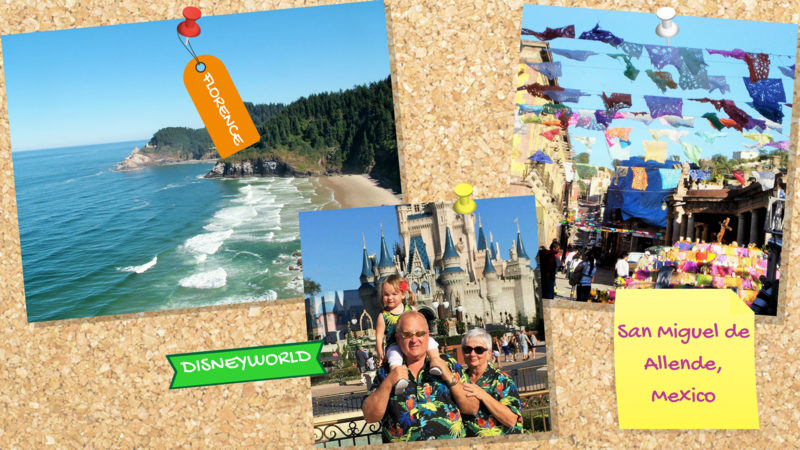 These are just a few of the places I’ve worked as a digital nomad, from Disneyworld (with our granddaughters! ); to San Miguel de Allende, Mexico; to the Oregon Coast. 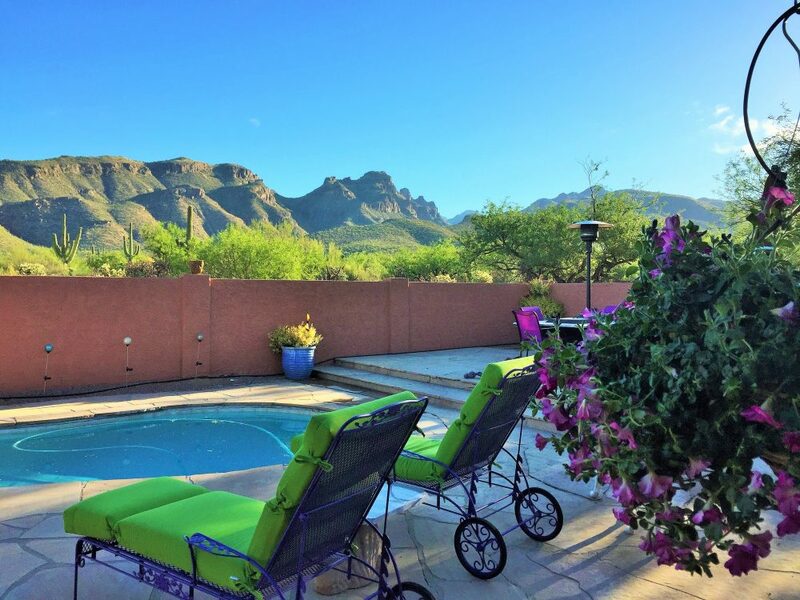 Copywriting is what has made ALL of this possible, from building custom RVs into mobile offices, to affording the fuel, to living in Mexico, to having the TIME, to creating our “World Headquarters” in Tucson, Arizona. 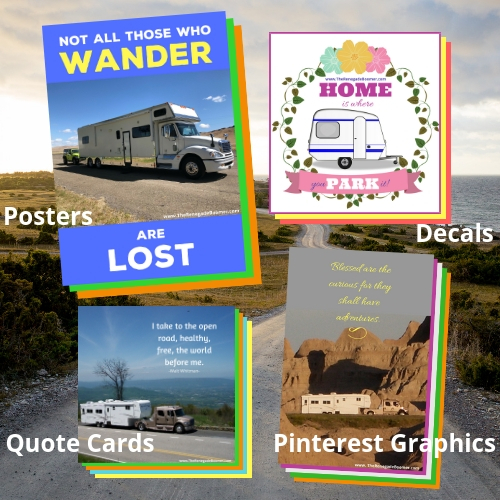 It’s a powerful way to create a home-based business for yourself, even if you’re not into the RV lifestyle. How about paying off all your debts, having vacations when you want, being there for your kids, or never having to worry about funding your retirement years? It is all possible if you acquire the skills you need to become a freelance copywriter and are willing to put in the effort. BONUS 9: TIME! You can work part-time as a copywriter and make a full-time income! You set your fees, not anybody else. I cover all this in my copywriting program. 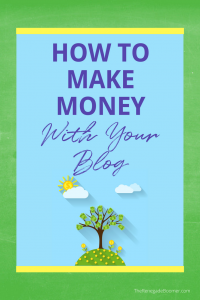 That means as you become skilled in copywriting, there’s no reason you can’t decide you are very happy with your five- or six-figure earnings while working much less than 40 hours a week. And did I mention you can get paid in advance to book your time? There are SO many amazing things about being a copywriter, it could be a whole other blog post. Hmmm. Maybe it will be! This is why freelance copywriting really IS the ultimate work-at-home job! And remember, I’m happy to answer any questions you may have. Just shoot me an email or comment here.